The RT7700H is an IP addressable, digital HF software defined radio (SDR) which combines DSP-IF circuitry and powerful microprocessors in a robust desktop or rack-mountable package supporting the demands for HF voice and data communications. 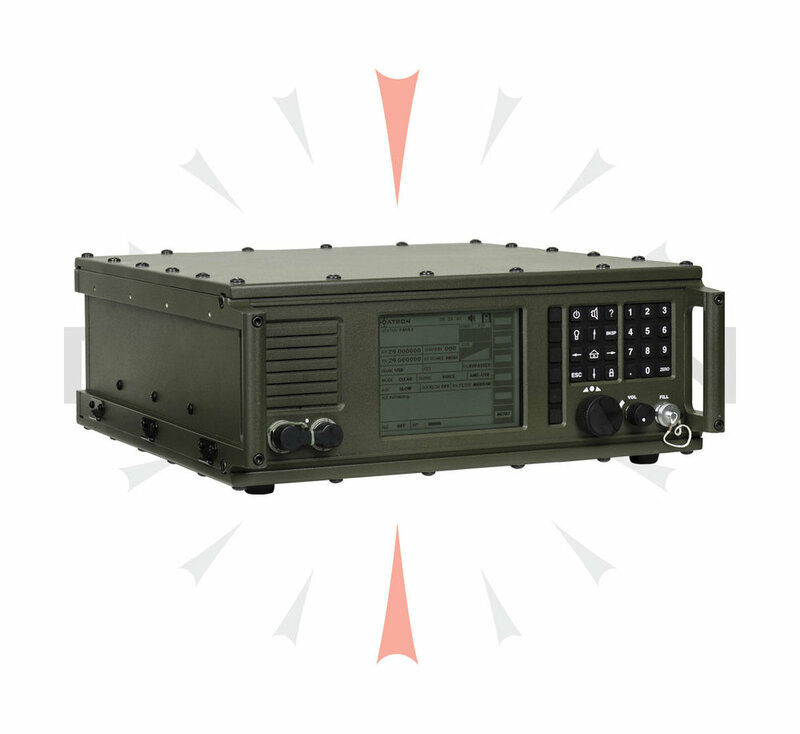 The RT7700H is the transceiver component of Datron’s 7700-Series Strategic HF Communications System. The RT7700H is fully interoperable with Datron’s Spectre HTM PRC7700H tactical manpack. The Joint Interoperability Test Command (JITC) certifies that the RT7700H, manufactured in the USA, conforms to the mandatory requirements of Military Standard (MIL-STD)-188-141B, including conformance to the Automatic Link Establishment (ALE) specifications in Appendix A. The RT7700H is validated compatibility per MIL-STD-188-203-1A with external Link-11 MODEM in both CLEW and SLEW modes. It is capable of supplying up to 125 Watts PEP, 100 Watts continuous over a 100% duty cycle. The DSP-IF and audio circuitry are optimized to support both current and future voice and data requirements. The radio provides excellent AGC group delay characteristics through the DSP based IF and audio circuitry. Modes of operation include 2x ISB, USB, LSB, AM, AME, CW, Data and Digital Voice (MELPe), with optimized bandwidths. The RT7700H integrates a MIL-STD-188-141B ALE MODEM and a MIL-STD-188-110B HF MODEM which supports the core requirements. Supported modes are FSK to 600 bps, Serial Tone (PSK to 2400 bps) and PSK/QAM (to 9600 bps). 19,200 bps is supported using 2-ISB. The RT7700H can be remotely controlled via a built-in Ethernet port. Being IP addressable, the RT7700H can be remote controlled over a LAN or WAN. The RT7700H is fully supported with a virtual remote control and messaging software application. This offers the flexibility of managing the radio system from a remote computer or from an optional ruggedized laptop PC. In order to facilitate maintenance, the RT7700H incorporates a comprehensive BITE system with the ability of isolating faults down to the LRU level (Lowest Replaceable Unit). A full range of software and hardware accessories are available. Datron 7700-Series Strategic HF solutions deliver the continent-spanning communications your critical missions require.